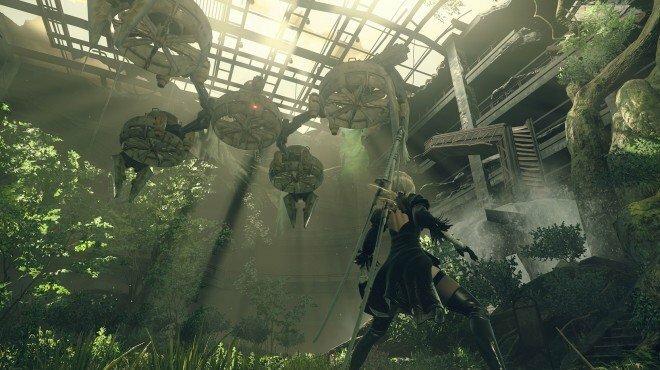 The Supply Trader's Request is a Side Quest in NieR: Automata. "The Resistance camp tool shop can't make plug-in chips due to machine failure. As the owner has a bad leg, he needs someone to gather the necessary materials to fix his equipment." Deliver the required materials to the supply trader at the Resistance camp. Head to the red quest marker in the map. Eliminate the enemies in the area and then loot the items, return to the Supply Trader to finish the quest. Yeah...been stuck on this for HOURS. I fought stubbies on my way into town. They didn&apos;t drop anything of note then. After I hit the camp I got this sidequest and none of the stubbies dropped a thing. I had to go into the desert and fight things there to get stuff for this sidequest but now i&apos;m several hours in and I cannot find a small gear and no small stubby is dropping it. I have to keep revisiting spots in hopes of stubbies respawning and random dropping this required part or the game will not progress right from the start. I&apos;ll keep grinding and check the lower portion of the desert where there is supposed to be a small gear hidden. Either way...dont kill stubbies on the way to camp. I think it broke the drops and it turned a 3 minute sidequest to get you rolling into a near game ending problem of fishing for random drops.